I started playing around with the different lines. I design in EQ7 and love how flexible the program is. I can design multiple variations of the same quilt and save the block and the quilt to go back and look at later. Originally I decided to play with the black and white angles, and maybe a little bit of the windows. 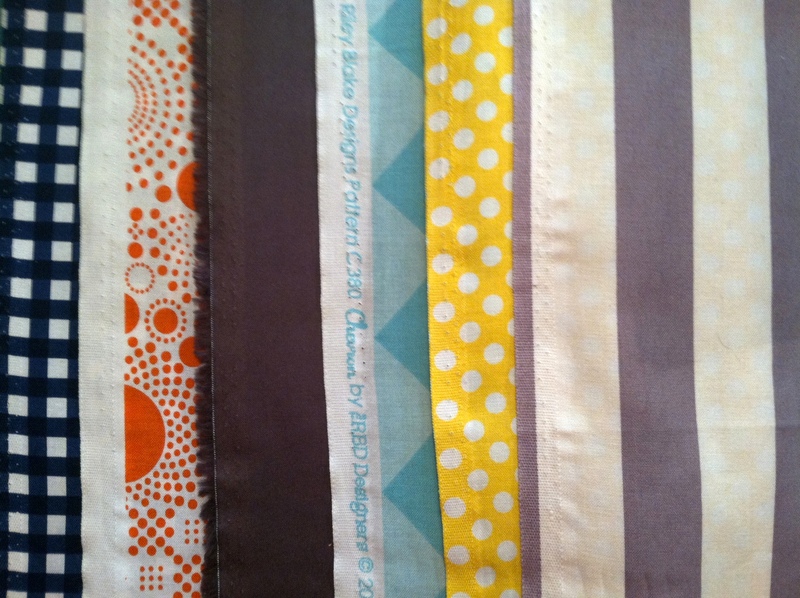 Here are 3 quilt possibilities that I started with. Then I decided that I wanted to play with the windows a bit more and came up with this. But that felt too heavy to me. The windows were just too block-y. What if I turned them on-point? I turned them, played around with them a bit, and came up with this. I like it, but it’s still not quite right. 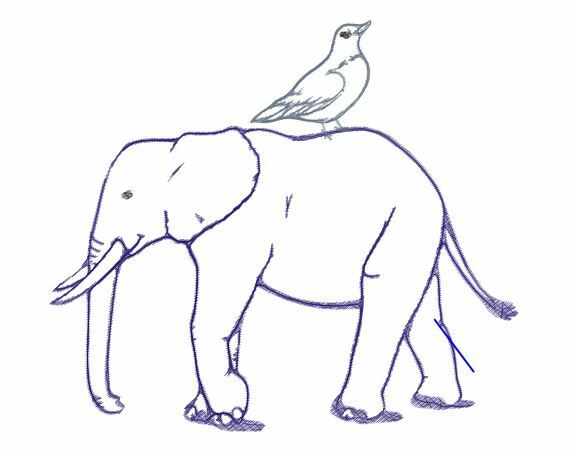 What if I elongate it? Then I had to make it… Of course, it took longer than I thought it would. Of course, it was a headache in many ways. 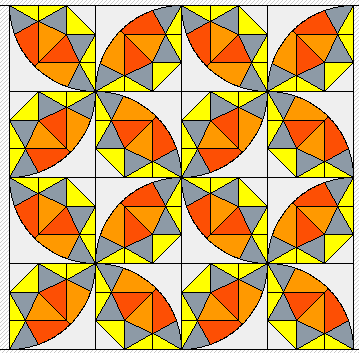 The angles were quilt difficult to line up. I made a smaller version than I really wanted because I started it just 2 weeks before it was due and I was afraid I wouldn’t be able to make a large quilt in that time period given that I also work full-time. And… I didn’t finish it! If I had had one more day, I could have finished. But I didn’t. Oh well. At least I finished and it didn’t join the long-term UFO pile. And any finish is reason to celebrate. I wanted to do some special quilting on it. 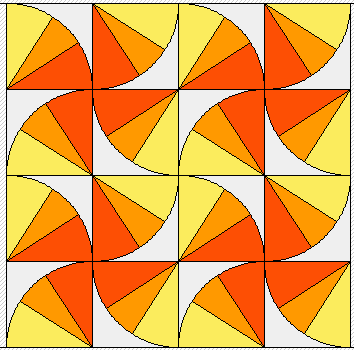 Sometimes I like a bit of design in the quilting rather than just a straight line or an all-over meander. This is probably the reason I didn’t finish the quilt by the deadline, but I love the way it looks. Fabrics: Kona Cotton Mediterranean, Kona Cotton Prussian, Kona Cotton Carrot, Kona Cotton Snow, and Kona Cotton Shale. What’s that saying about styles of the past coming back? From my amateur point-of-view, it seems that fashion, home decor, and hair styles run in cycles repeating every couple of decades. They get revamped and revived, and suddenly old school with a twist becomes chic and stylish ‘new’ school. Quilting fabric hasn’t been immune, although it’s probably been a somewhat slower process. We have reproductions for the Victorian, civil war, and depression eras and just about everything in between. More often than not, these reproduction fabric look very much in color and style like the fabrics of old. However, sometimes they can look more modern due to the use of modern geometric prints. Also advances in technology have given us whiter whites and brighter colors which can make a reproduction fabric seem more chic. 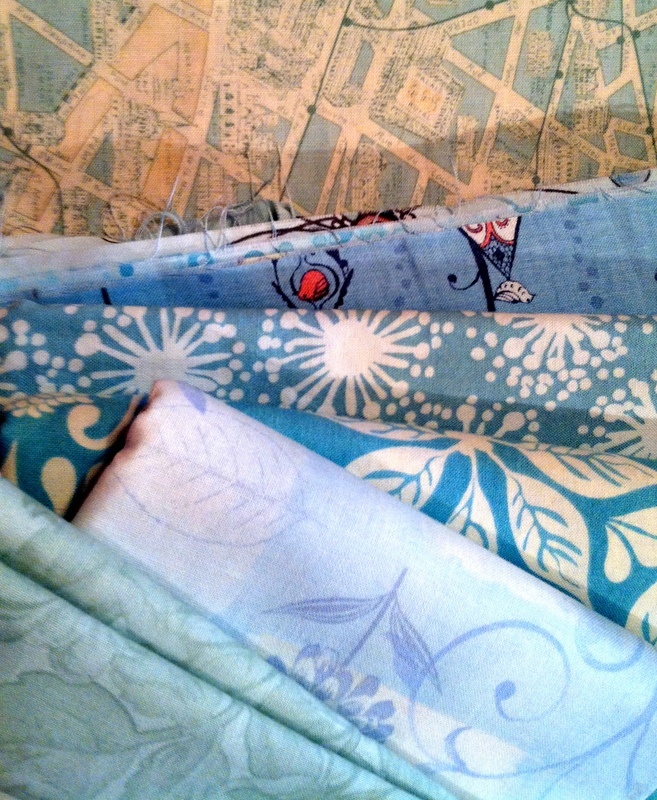 Rachel at Stitched in Color is having a mosaic contest where we are to pick our favorite ‘vintage’ rainbow fabrics. A collaboration of color slightly aged, faded, or dusty. Maybe even colors that clash. Think shades of green from 1930s kitchens, Williamsburg blue from the 80s, or the one thing we all hope never comes back in style, avacado green appliances from the 70s. I made 2 color pallets that most resemble the 30s and the 50s decades. Intuitively, I really like softer tones with a pop of color, and a dark color or two with a cool base to balance it out. I love the two pallets that I came up with. I tried to capture the essence of the vintage rainbow while keeping the prints modern for more trendy charm. As I was building them, I thought they were quite different. 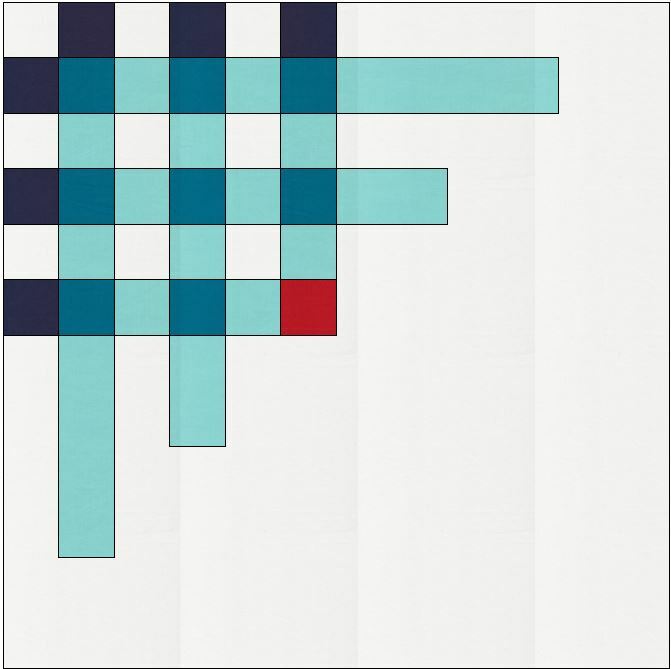 I started out with 6 colors for pallet 1 and 8 colors for pallet 2. So the differences were more noticeable. But then I reread the instructions and realized I was supposed to have 9 colors for each. So, I went back and filled in more colors for each, and now that I see them side-by-side, they are more similar than I thought. Pallet 2 is a bit softer than pallet 1, but they both have a good balance of light, medium, and dark values. I really love how the colors are playing together. I have been loving gold and aqua together and have used it recently in a quilt that I will share soon. Also, coral has been one of my favorite colors for year. I love how it plays well with grays and citron. I had a lot of fun with this challenge, and decided to play around with quilt design on my EQ7 at the same time. 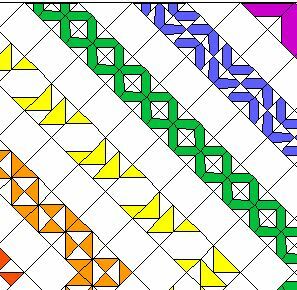 I decided to work with triangles and this is what I came up with for each color pallet. What do you think? What colors would you have chosen for this challenge? Visit Stitch in Color to view the other entries and vote for your favorite. 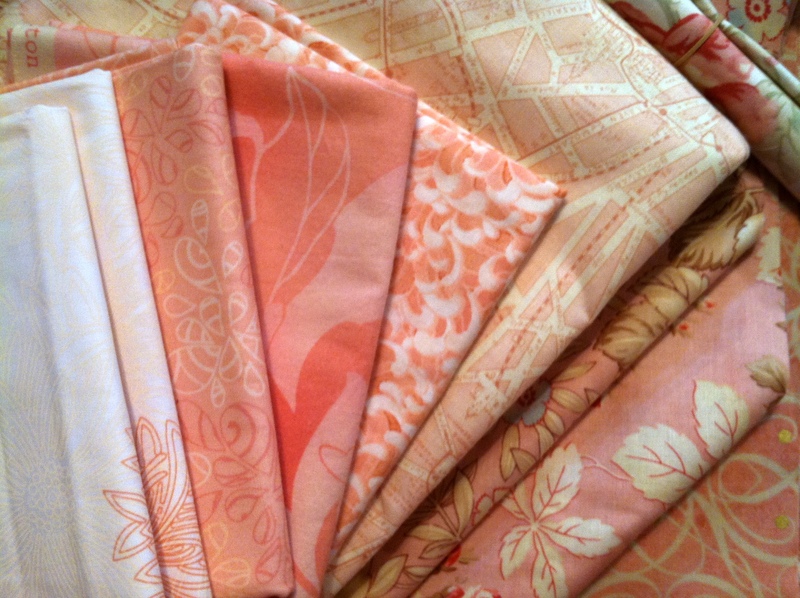 Maybe you’ll find a collection of color you love and decide to use in your next quilt. 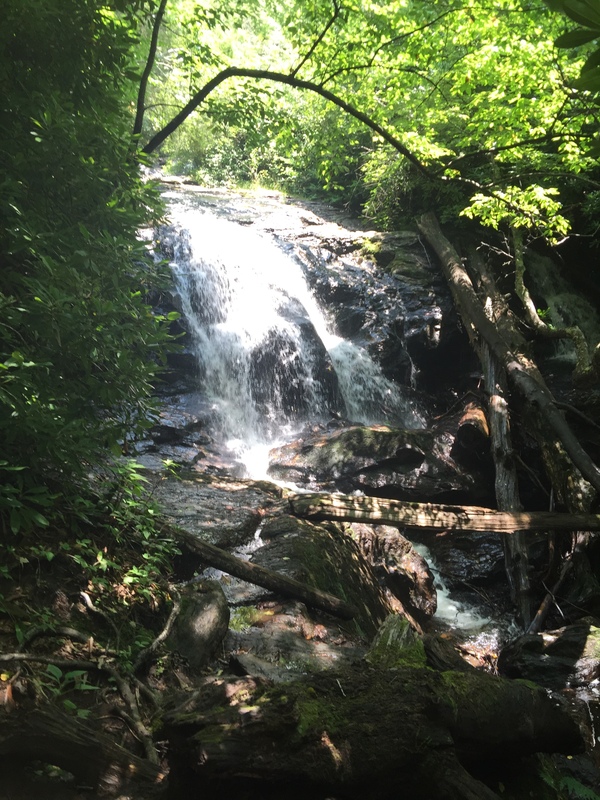 North Carolina is home to approximately 200 beautiful natural waterfalls. Two of the little monkeys are visiting this week, so yesterday we hiked to one of them. In fact, the waterfall we hiked to, Mooney Falls, isn’t even on the website I linked to above, so there could be many more that are not even listed. 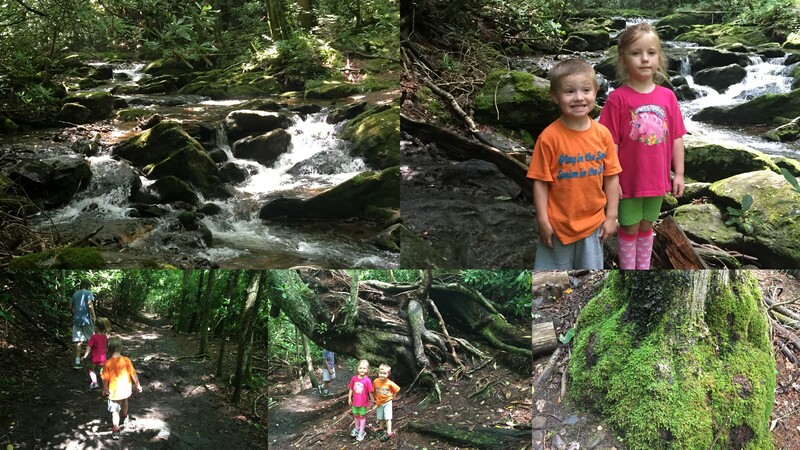 We started our hike to Big Laurel Falls in Nantahala National Forest. The path through the woods ran along a river and was just beautiful. 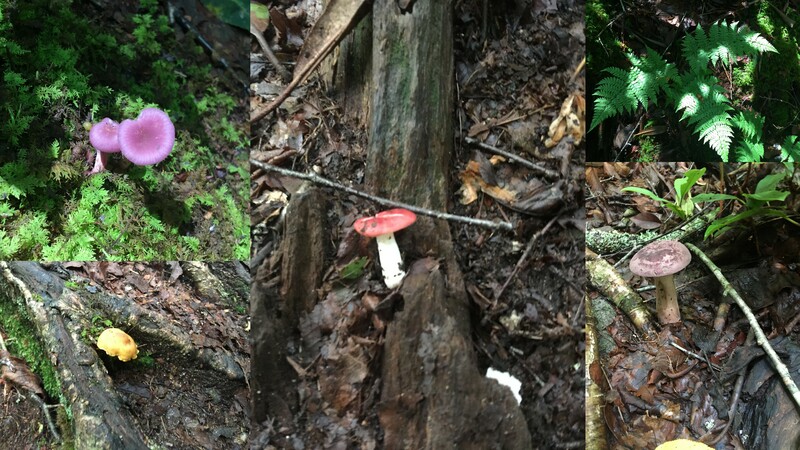 We saw many kinds of mushrooms, moss, fern, and a huge tree that was growing somewhat sideways. But the path was terribly muddy due to the daily rain the area has been having. So we turned around before ever reaching the falls. We climbed back in the car and drove less than a mile up the mountain to the trail head for Mooney Falls. This trail was shorter, less muddy, and easier walking. We found this waterfall in short order. Not very tall, but still beautiful. And the cool air coming off the water was a nice relief to the humid day. I hope to visit more waterfalls in the area before winter sets in. On to quilting… I am working on the WIPs I brought with me (I really am, I promise), but I’ve started more new ones than I finished. Oh why do I do this to myself? I have too many ideas running around in my head that need to get out, or someone presents me with a challenge and I have to jump on it. 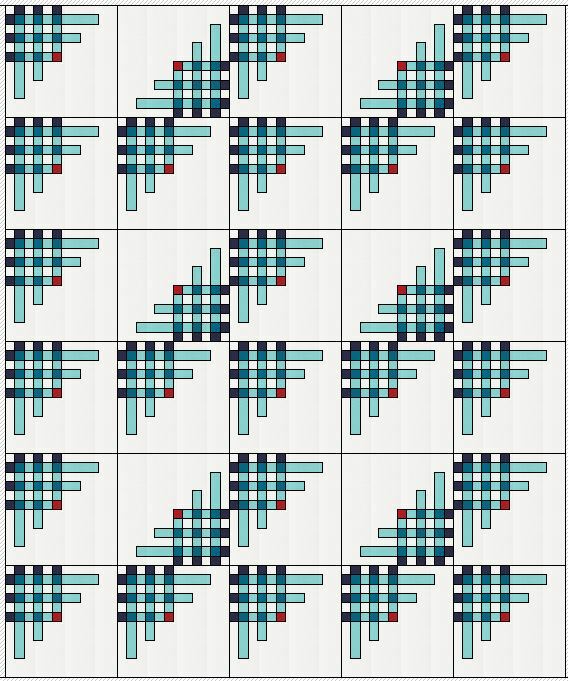 I started a challenge related to hexies for the brand new Smokey Mountain MQG. 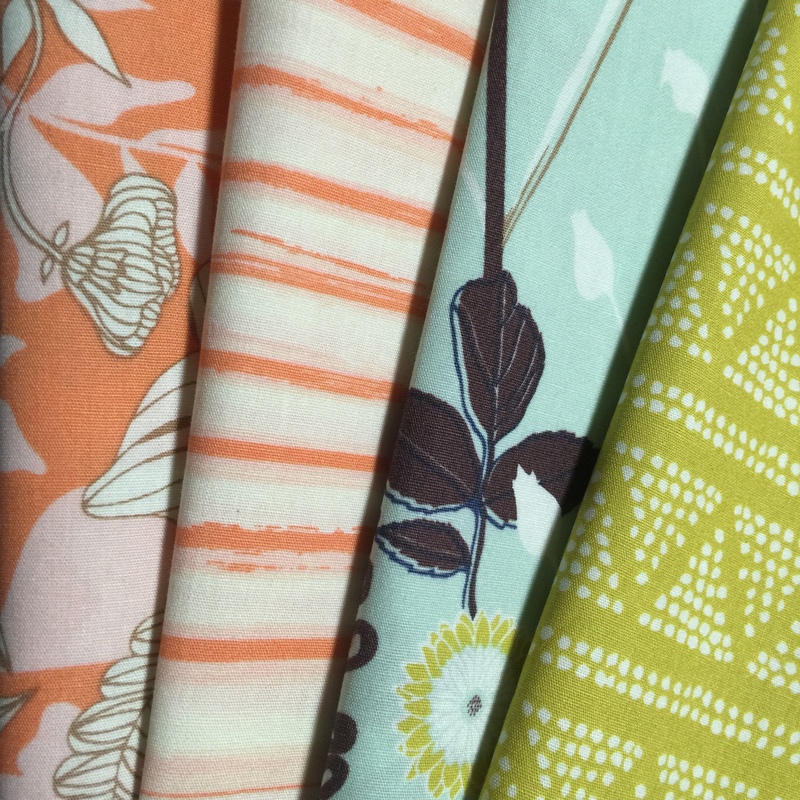 I bought fabric for a challenge sponsored by Art Gallery Fabrics for Bonnie Christine’s new line, Cultivate. I have just 2 weeks to complete this one, so I really need to jump on it. And I’m working on designing new quilts. and ended up much more complicated. 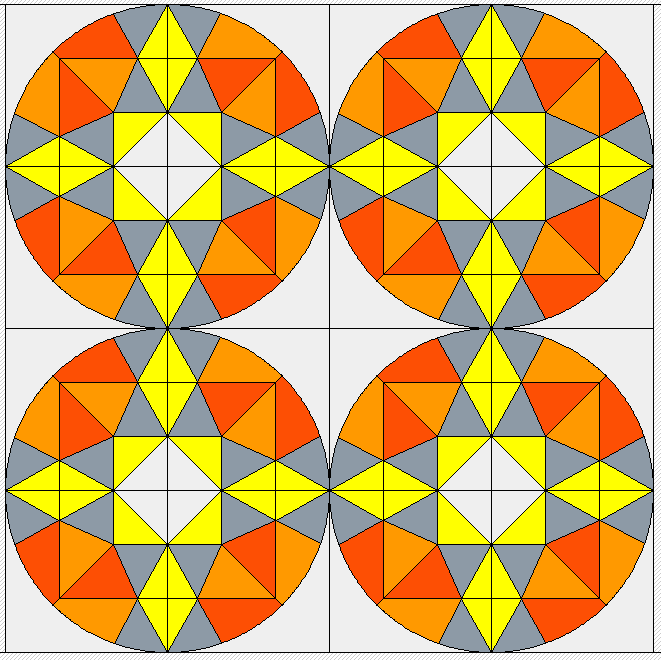 This is the same design, just laid out differently. They are all still in progress. Just churning ideas around in my head and seeing what they look like in EQ7. I could give you about 30 more examples, but I don’t want to overload you. So, what do you think? Do you love them, hate them? I keep forgetting to share this news with you, so it’s a bit old. First I had to wait for it to be announced by Cloud9; and then when it finally was announced, I didn’t have time to write a blog post because we were so busy trying to finish our house, pack, and move. But. 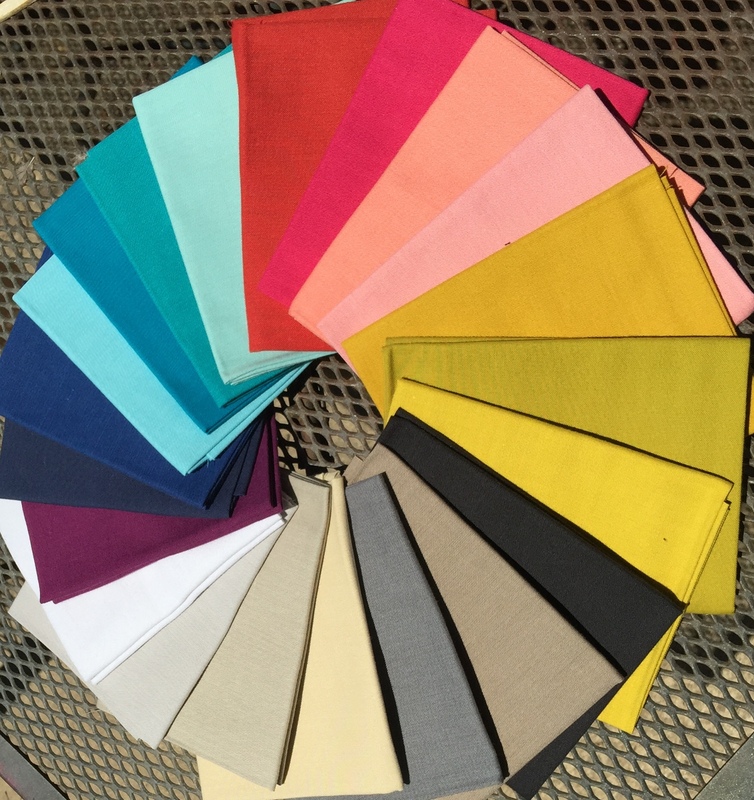 here it is… I am the May WINNER for the Cloud9 Fabrics Cirrus Solids BOM Challenge. YIPPEE!!!! 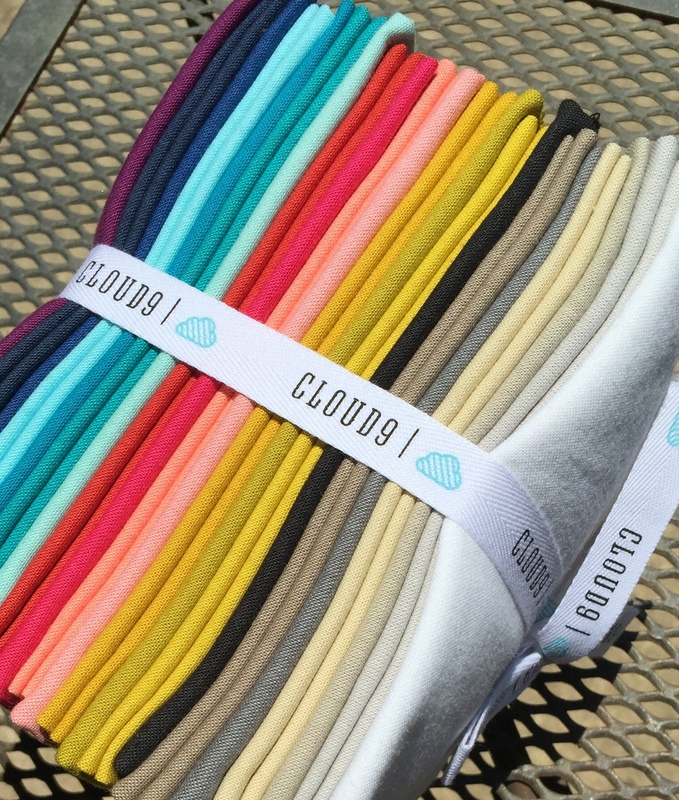 If you haven’t heard, Cloud9 Fabrics is coming out with a new line of yarn-dyed solids in September. 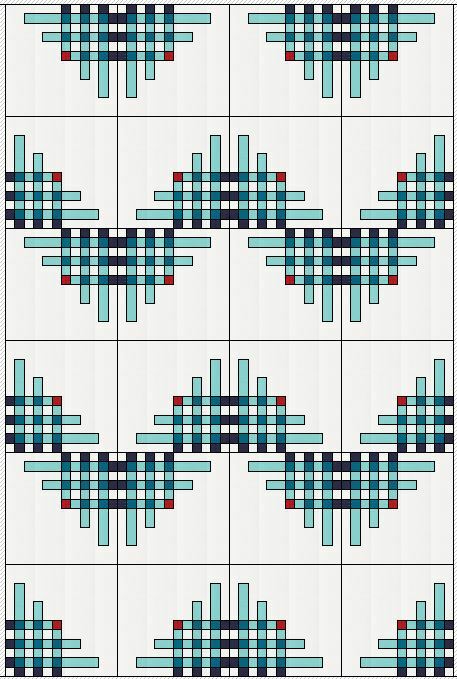 In anticipation of the release, Cloud9 is hosting a BOM challenge in which they are asking quilters to design and submit blocks (including instructions) using 4-6 of the new solids. I started designing a block last October and had it about 85% finished, but with work and other things I wasn’t able to get it finished and submitted. And then… the January winner was announced and the block I had designed was so very similar. Oh no! I just couldn’t believe it! 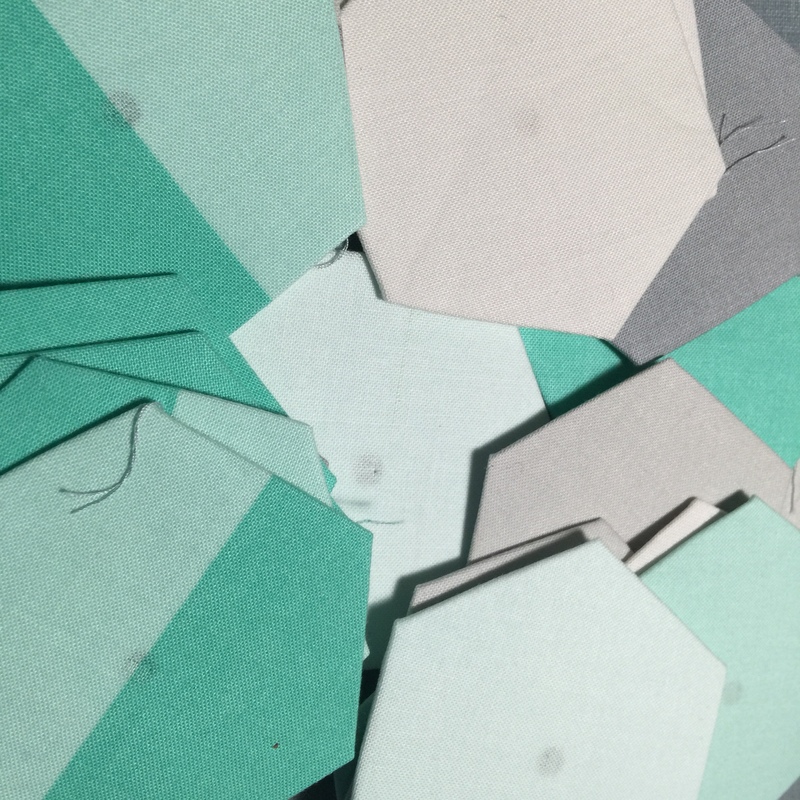 Several weeks later I received my winnings — a fat quarter pack of all the solids — and I have the say the fabric is amazing! They are soft, have a nice drape, and the colors are bold and saturated. I am looking forward to sewing with them… once I figure out what I’m going to make. You can find the directions and layout for my winning block here, and all winning BOMs can be found here. Linking up with Finish it Friday at Crazy Mom Quilts, Link a Finish Friday at Richard and Tanya, and Can I Get a Whoop Whoop at Confessions of a Fabric Addict. I started cutting and sewing half-square triangles (HST) for the quilt I decided to do for my parents. 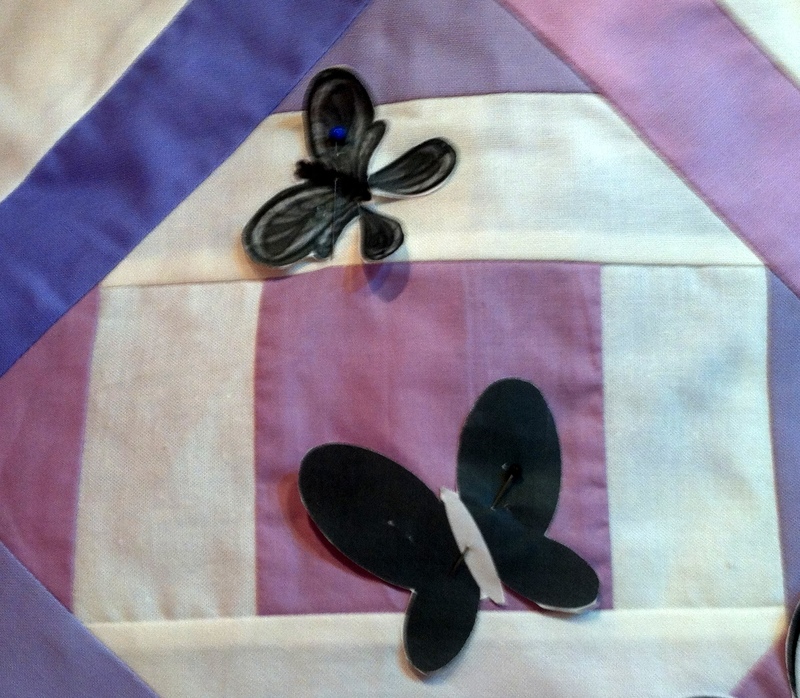 I wanted the quilt to have a scrappy look with 10 or so different fabrics in each of the two colors. But golly, this is a lot of cutting and trimming. Putting the HSTs together really isn’t that bad. 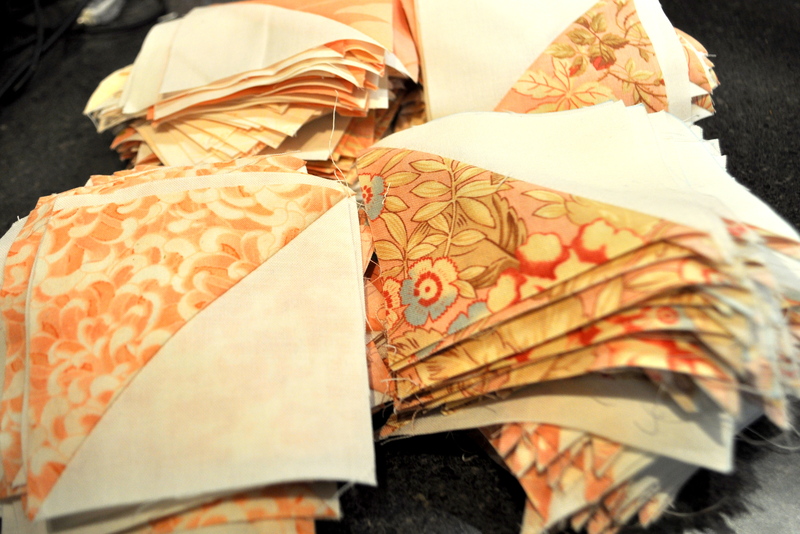 I’m cutting my fabric so that I can sew and then cut 50 HSTs at one time. Ironing and trimming to size comes next. I realize that trimming them to size is probably the most important part, but it is taking forever. This is what 400+ HST units look like. 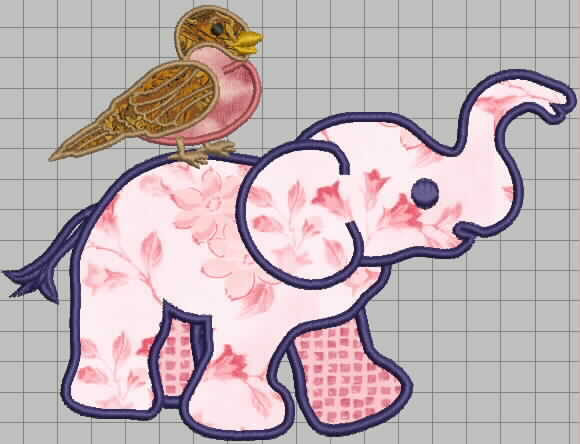 The embroidery design I’ve been working on for the baby blanket is now looking like this. 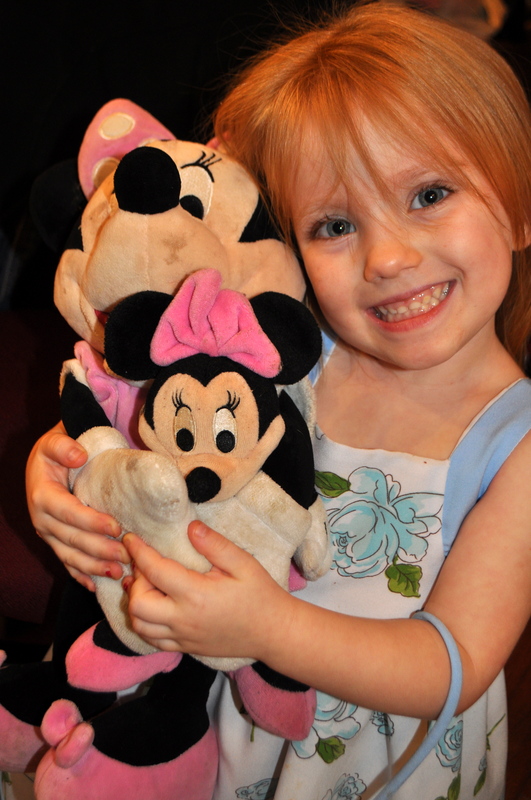 And just because she couldn’t let me have the camera out without taking a picture of her..